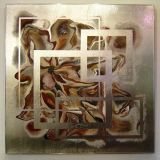 Original paintings on metal occupy a prominent position in Svetlana's portfolio. The metal sheets are in various textures giving an interesting ground for the paintings themselves. The overall look is contemporary and crisp. 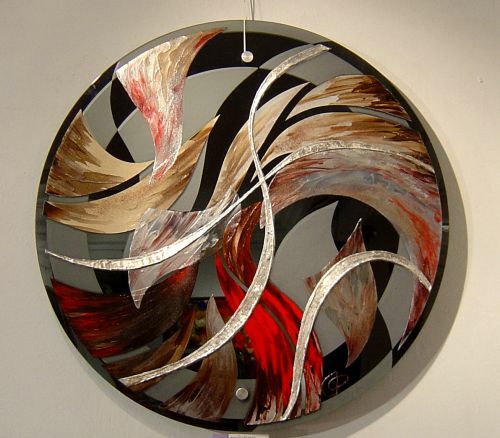 The metal gives an edge to even flowing lines and organic shapes. 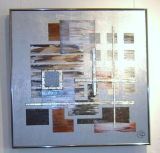 The metal paintings are framed in minimalist metal frames to complement the material and give the work substance. 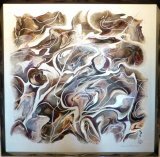 Further examples can be viewed in the Art in Interiors section and by follwoing the link below "Best of Houzz".